UCF and HCA Healthcare’s North Florida Division will start building a new hospital next to the College of Medicine in Lake Nona within 18 months. The state’s Agency for Health Care Administration (AHCA) this week gave final certificate of need approval for a 100-bed medical and surgical hospital that officials hope will be open for patients by the end of 2020. HCA North Florida Division will contribute $175 million to build and begin operating the hospital, called UCF Lake Nona Medical Center. UCF will provide the land and its strong academic brand. No state dollars will be used to build the facility. “Together with our partners at HCA, we look forward to strengthening our community’s health, training more doctors and powering economic growth through research,” said UCF President John C. Hitt, who has described building the hospital as one of the university’s most important decisions of this decade. The Florida Board of Governors, which oversees the state’s 12 public universities, approved the public-private hospital in March after AHCA had given the facility preliminary certificate of need approval. 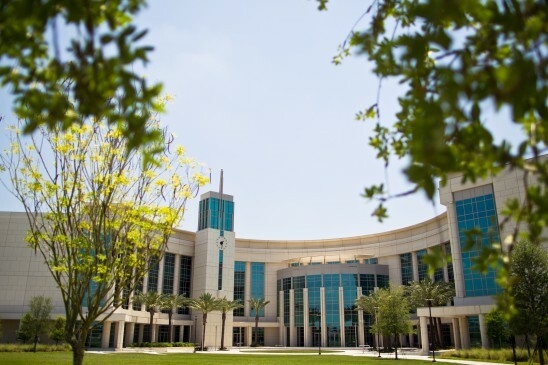 UCF and HCA’s partnership began in 2015 when they formed a consortium that is building needed residency programs in Central and North Central Florida. In the last two years, that partnership has opened 14 new residency programs and one new fellowship in HCA’s North Florida Division hospitals located in Gainesville, Kissimmee and Ocala. Those programs are now providing graduate medical education to 250 physicians, and hope to have 600 physicians in training by 2020 to help address Florida’s physician shortage. The Board of Governors’ approval allows UCF to grow the hospital to up to 500 beds without further approval from that board. The hospital will train third- and fourth-year M.D. students from day one; allow the medical school to expand its clinical research mission; provide more opportunities for residency programs; and be a living-learning lab for training medical, nursing, physical therapy, pharmacy and social work students in teamwork skills and communication. What is the location relative to the COM? Will eliminate parking?